It is widely understood that estate planning allows each of us to plan the distribution of your assets to your heirs and beneficiaries after your death. An estate plan can also help you and your family to prepare for the possibility of incapacity at some point. Without a comprehensive estate plan, there may be unwanted tax consequences and other inheritance issues that could be avoided. Before you get started with your estate planning, here are a few useful definitions. The last will and testament, most commonly referred to simply as a will, is a legal document that sets out your instructions regarding who will receive your property after your death. You can also identify who you want to serve as a guardian for any of your children if they are still minors at the time of your death. A will should also identify the person you want to serve as executor, meaning the person who should have the authority to carry out the terms of your will and handle probate. A trust is a fiduciary agreement between the person who created the trust (the grantor) and the selected trustee. A fiduciary agreement refers to one where a trusted person promises to act on behalf of another solely for that person’s benefit. Pursuant to the language of the trust agreement, the trustee will have the authority to keep and manage the trust assets according to its terms. Much like a will, a trust provides specific instructions on how certain property should be managed and distributed. Unlike a will, a trust does not need to be probated. A revocable trust can be revoked or modified at any point during the grantor’s lifetime, as long as the grantor is legally competent to make those changes. After your death, a revocable the trust can no longer be changed. Therefore, a revocable trust is considered a flexible and useful part of any estate plan. An irrevocable trust is different from a revocable trust in that it cannot be revoked or changed (with limited exceptions) after it has been executed. Despite the lack of flexibility with an irrevocable trust, there are favorable tax consequences with this type of trust, including minimizing estate taxes, in addition property that you fund to an irrevocable trust becomes essentially beyond the reach of your creditors. A living will is a set of written instructions for your family and health care providers regarding your medical treatment, in case you are unable to communicate those desires yourself. This typically includes decisions about whether to continue life support and if so, under what conditions. For example, it may be your choice to have life support discontinued if you are diagnosed with a terminal condition. Generally speaking, a power of attorney is a legal device used to appoint an agent you select to have authority over your affairs. If the power of attorney is considered “durable” that means it remains in effect even after your incapacity. You have the option of limiting the authority provided under a power of attorney to only the specific matters that you expressly included in the power of attorney document. For example, you can provide limited authority to handle certain transactions or business affairs. On the other hand, you can make the authority broad enough to encompass all of your financial matters. The basic purpose of an Irrevocable Life Insurance Trust or “ILIT” is to hold in trust a life insurance policy so that policy is effectively removed from your estate. As it is an irrevocable trust, you will not be able to take back the policy after the trust has been created and funded with the insurance policy. With an Irrevocable Life Insurance Trust, you have a great deal of control. For example, you can select who your initial beneficiaries will be and who you want to serve as your trustee. You can also decide how they will receive their benefits. Probate is a court procedure necessary for the transfer of estate property at the time of your death. The process is controlled by the probate laws of the state where the deceased individual lived or where they have their property. The primary purpose of probate is to pay legitimate debts and taxes, and then distribute the remaining assets to the appropriate heirs or beneficiaries. 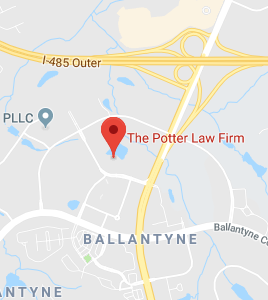 If you have questions regarding any aspect of estate planning, please contact the experienced attorneys at The Potter Law Firm for a consultation, either online or by calling us at (704) 944-3245 in the greater Charlotte, NC area, (606)324-5516 in Ashland, KY or (859) 372-6655 in northern KY.